I've been on a major reading binge of late. I just finished Michael Thomas Ford's newest novel, What We Remember, yesterday and enjoyed it thoroughly. I've read all of this author's books, so I am a fan. But this particular book was unique in that it really was also a mystery novel. While it explored the same intense human relationships and emotional themes that Ford's other books typically cover, I have a feeling the author wanted to try a different approach. The novel, which explores a murder in a family, is essentially a mystery or thriller experience which I found rather refreshing change but it I still wasn't short-changed the pleasure of reading a very well written drama. This book is about a New York family, the McClouds. This family is about as dysfunctional as a family can get. The present time in the book is the early 90's. Sheriff Dan McCloud, the father, nine-years before, committed suicide leaving his widow and three children, oldest daughter, Celeste, James, the eldest son and Billy, the baby of the family. The family life of the McClouds is complexly entwined with the family of Dan's best friend, A.J. Derry. Almost incestuously! I'm telling you this book has more plot twists and more murder suspects than you can keep up with. Which is really why the book reads like a thriller. I just couldn't put the book down. Alternating between the book's present (the early 90s) and a retrospective look at the time of the suicide, the author slowly unfolds the complex plot and the "truth" of what happened with these two families. And in trademark Ford fashion he presents an indepth multi-dimensional cast of characters who all have flaws. There are a couple of villains, who are actually portrayed with some objectivity by Ford. 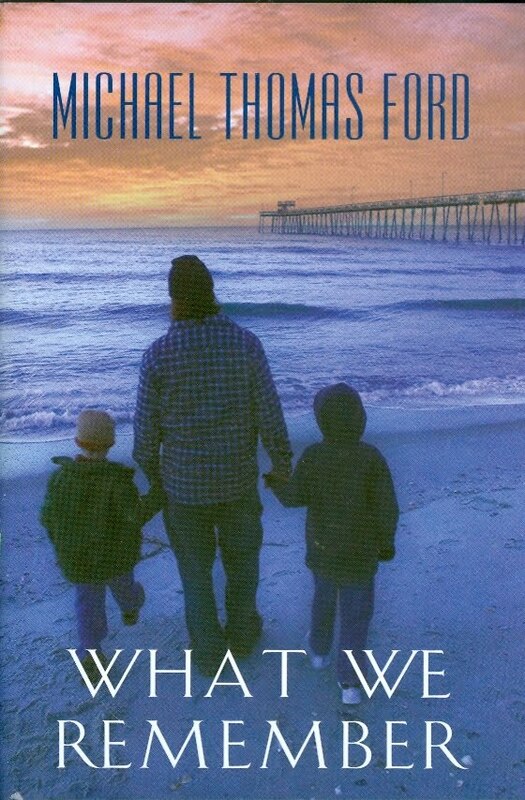 I highly recommend this book....and any of Michael Thomas Ford's books. If you'd like to purchase the book, just click here. You can see some of the other titles by Mr. Ford as well.